OECD countries have officially agreed, on May 25, to invite Colombia to become a member of the organization. An Accession Agreement was signed by Colombian President Juan Manuel Santos and OECD Secretary General Angel Gurria on May 30 during the OECD Ministerial meetings in Paris. Colombia is the 37th country and the third member country from the LAC (Latin America and the Caribbean) region to join the OECD. “Through the OECD accession process Colombia has made impressive strides in, for example, reforming its justice system and reducing informality in the labor market,” said Gurria. “The accession process has been instrumental in the design and implementation of new national policies, such as on water and chemicals management. Colombia took important steps to improve its governance of state-owned enterprises, including removal of ministers from the boards. 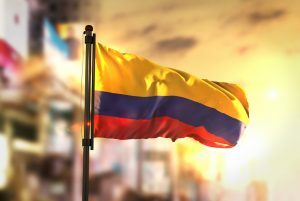 To comply with the OECD Anti-Bribery Convention Colombia significantly modified its corporate liability regime. The list of reforms goes on.” Gurria’s full remarks at the signing ceremony can be found here. Colombia was invited to begin the accession process in 2013. Over the past five years, 23 OECD Committees conducted an in-depth review of Colombia’s legislation, politics and practices, to align them with OECD standards. The final two Committees where reforms were required were the Labor Committee and the Trade Committee. The Labor Committee concluded their process during their recent meeting in March. The Trade Committee concluded their April meeting with a draft formal opinion, which was finalized several weeks later, just ahead of the Ministerial. Rob Mulligan, USCIB senior vice President for policy and government affairs, was in Paris last week for the Ministerial. “USCIB has been actively involved in providing input into Colombia’s accession process via Business at OECD (BIAC), the official business voice at the OECD,” said Mulligan. “The main affected sectors throughout that process were pharmaceuticals, distilled spirits, and trucking. Many issues were resolved before accession, and we look forward to continued progress and concrete actions being taken on outstanding issues.” View USCIB’s official statement here. “Moving forward, USCIB will play an active role in providing U.S. business input to the OECD on any upcoming accession processes,” added Mulligan. The countries that have expressed interest are Argentina, Brazil, Peru, Romania, Croatia, and Bulgaria. At this time, no new process has commenced. This entry was posted in Accented Stories, BIAC, Communication Department, Competitiveness and Innovation, Featured Story Accented Stories, Growth, Jobs and Open Markets, News Stories, Sub Featured Story and tagged Customs and Trade Facilitation, Trade and Investment.